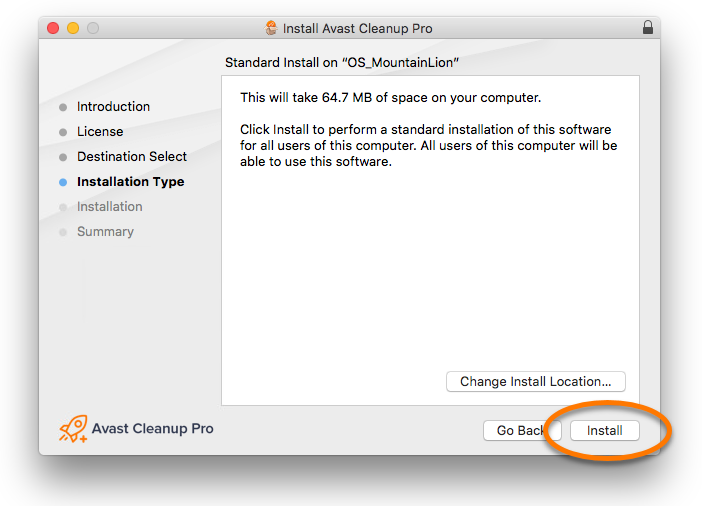 Avast Cleanup Pro is an optimization tool for Mac that includes a range of scans which detect unnecessary items and performance issues to free up disk space and improve the speed of your system. 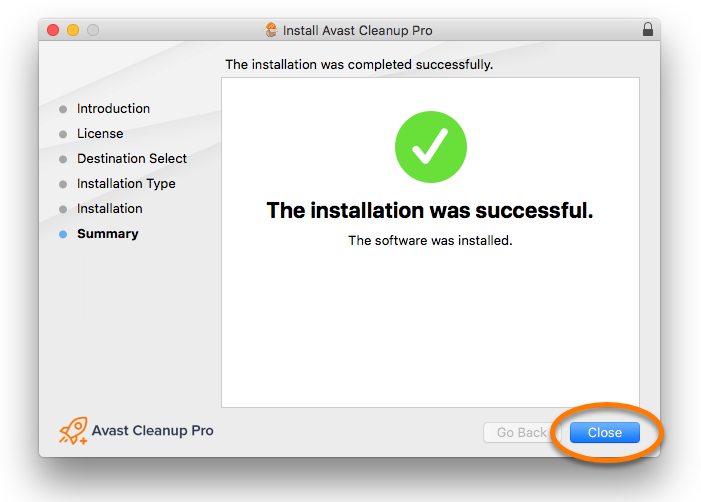 Double-click the downloaded file avastcleanup.dmg. 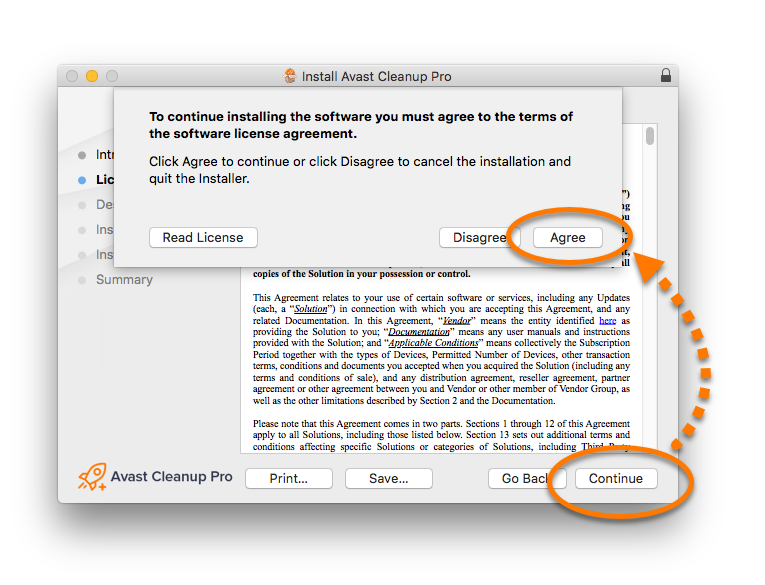 In the Avast Cleanup Pro dialog that appears, double-click the Install Avast Cleanup Pro icon. In the setup wizard, click Continue. Review the End User License Agreement and click Continue, then click Agree. Click Change install location to select a destination for installation, then click Continue. Use your Touch ID to grant permission for the installation, or click Use Password..., then enter your password and click Install Software. Click Move to Trash to remove the installer. Ensure your Mac meets the minimum system requirements and your operating system is up to date. Apple macOS 10.14.x (Mojave), Apple macOS 10.13.x (High Sierra), Apple macOS 10.12.x (Sierra), Apple Mac OS X 10.11.x (El Capitan), Apple Mac OS X 10.10.x (Yosemite). Intel based Mac computer with 64-bit processor. 512 MB RAM or above (1 GB RAM or higher preferred). 68 MB minimum hard disk free space. An internet connection is needed to download, activate, and use the program. Optimally standard screen resolution not less than 1024 x 768 pixels. 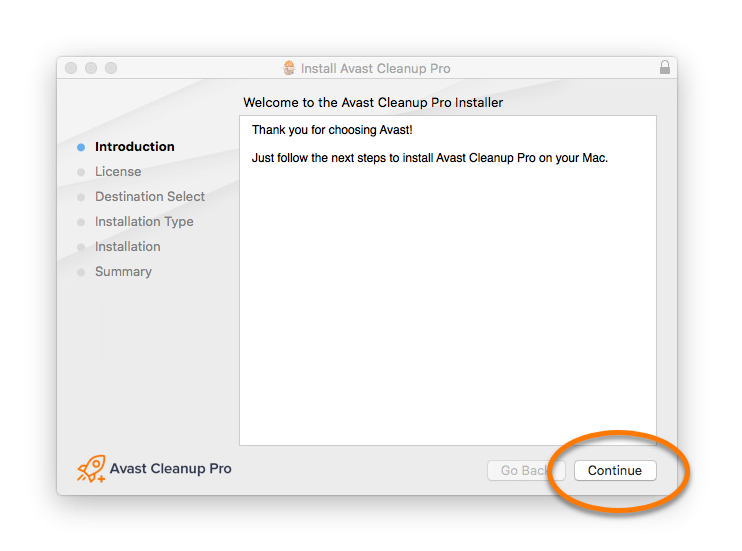 Restart your Mac and try to install Avast Cleanup Pro again by following the instructions in this article.